Future Twit: Chuck Norris: Causing The Surrender of Nazi Germany? 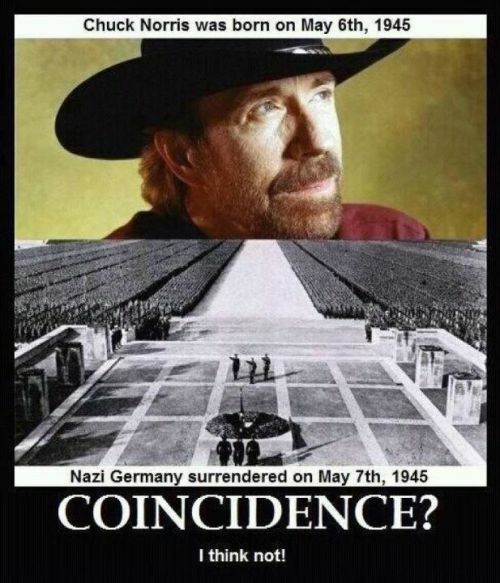 Chuck Norris: Causing The Surrender of Nazi Germany? Did Chuck Norris cause the surrender of Nazi Germany? At first blush, I would say no. However, the following picture makes a pretty convincing case for it. Coincidence? I think not as well.